For many years, Coumadin (Warfarin) was the gold standard in treatment options for people in need of blood thinner. However, the drug companies were not happy with a generic medication holding such a high position and developed what are now known as new oral anticoagulants (NOACs). This started with Xarelto, which is made by the German pharmaceutical giant, Bayer AG and its U.S. marketing partner Janssen (a Johnson & Johnson subsidiary) and then competitors Pradaxa, Eliquis, and eventually Savaysa. 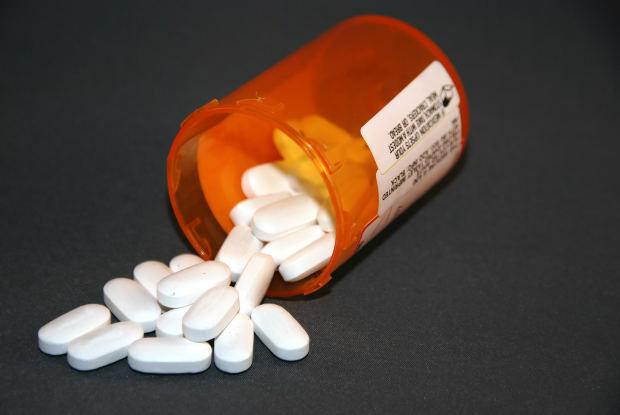 As our Boston Xarelto injury lawyers can explain, while these new medications hit the market by storm and made the company billions of dollars, it came with a significant danger, and patients and their doctors were not warned about this danger. The reason most patients need an anticoagulant medication is because they have one of several serious medical conditions that cause their body to develop internal blood clots, and these clots can be deadly. If a person cuts his or her arm, it will start to bleed. Unless that person was unable to form blood clots due to a condition like hemophilia, his or her body would send platelet rich blood to the site of the laceration, and that would cause the blood to clot, and eventually the bleeding would stop. A scab would then form, and the cut would soon heal. If you did not have the ability to from blood clots, the bleeding would not stop on its own, and medical intervention might be needed. However, while the body is supposed to form blood clots in that situation, and they are helpful, a person with Afib, for example, which is characterized by an irregular heartbeat not caused by a heart valve defect, can develop clots internally, and this can be very dangerous. If you have blood clots that form in the veins of the legs, for example, a potentially deadly condition known as a DVT, the clots can break loose from where they formed and travel through the circulatory system, resulting in all kinds of damage such a pulmonary embolism (PE) if a clot punctures a hole in the lungs. This will cause the lungs to fill with blood. The clots can also block the flow of blood to the brain, causing a stroke. This can also be deadly. The reason Xerelto can be dangerous, however, is if it works too well. If the patient loses the ability to clot as a result of Xarelto, the patient can develop a serious internal bleeding disorder including intracranial bleeding. Not only could this happen without warning, there was no approved reversal agent for the drug, so there was nothing really doctors could but give blood to patients as they continued to bleed out. Many died as result of this defect, and that is basis for some of the Xarelto injury lawsuits filed in Boston. This is not to say that Warfarin did not come with a risk of internal bleeding, because it does, but doctors and patients can closely monitor the dosage of Warfarin, and this condition can be avoided in many cases. The patient is also instructed to watch his or her diet to avoid foods high in vitamin K, such as leafy greens. The reason for this is because these foods will limit the efficacy of the anticoagulant. It is also for this reason that there is a reversal agent for Warfarin. If a patient comes into the emergency room with an internal bleeding disorder deemed to be a result of Warfarin, they can be given an injection of a vitamin K-based medication and the bleeding should stop. When Xarelto came on the market, it was marketed as a much more convenient option than Warfarin, because it was supposed to be a medication where everyone takes the same dose and there is no need to monitor the dose with frequent blood tests, like is necessary with Warfarin. It was this supposedly safer and a more effective delivery system that made it superior to Warfarin. However, we have learned that this was not the case, but with proper warnings from the makers of Warfarin, we would have learned this information a lot sooner. As we have also learned, the company did not do sufficient safety testing and pushed the product through development while not giving a complete risk picture to the U.S. Food and Drug Administration (FDA). The reality of the matter is that one dose does not work for all patients and there should have been more monitoring of patients’ dosage, but this was not advised by the drug company since the primary selling point of Xaretlo was that it was more convenient, and thus a safer and better alternative to Warfarin. This is known as failure to warn of a known danger claim. The way this works is that the drug company has a duty of due to care to prevent foreseeable harm to foreseeable persons. In this case, the risk of harm was a potentially fatal internal bleeding disorder and the patients taking the drug were foreseeable plaintiffs who could become injured by the drug. Since the company knew or should have known of this risk and did not warn patients, that is the basis of liability. In addition to the claim of failure to warn, there can also the claim of defective design of the drug as a second cause of action. To show the need for monitoring the dosage of all anticoagulant medication, a recent news article from Pharmacy Times discussed a case study in which a patient was actually given both Xarelto and Warfarin. In this case, the patient was already on Warfarin, but for some inexplicable reason, he was accidentally prescribed Xarelto, as well, and was taking both medications at the same time. Due to the fact that he was taking Warfarin, which does call for regular testing, it was discovered that the levels in his blood were way off from where they were supposed to be. His doctors eventually figured out that he was taking both medications and was eventually tapered off one of them.